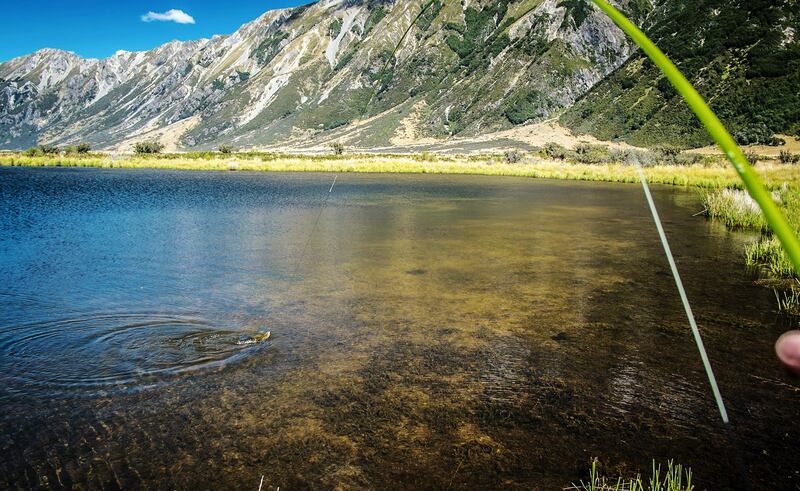 Not every fishing is session is full on action, especially when fly fishing. Despite what the angling magazines would have us believe, it is not uncommon for anglers to have blank sessions or sessions where very few fish are hooked. 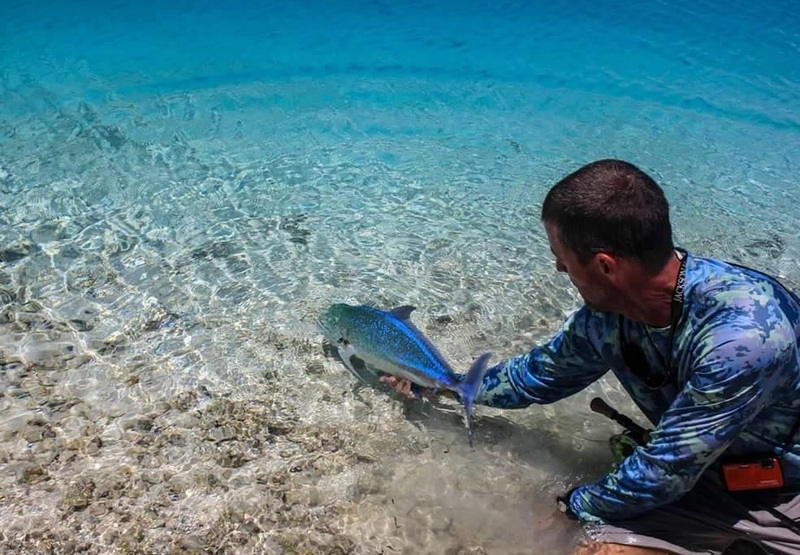 Even professional guides have tough days where the fish do not seem to want to cooperate. On these days it is important to make the most of limited opportunities and successfully convert each take into a fish landed. The ability to nail most of the opportunities that present themselves is what differentiates top anglers from the rest of us. My father used to say that “it only takes one fish to turn a dull day into a memorable one” and how right he was. I recently read an excellent FlyLife ANZ article entitled “One Percenters” (Number 83, Autumn 2016, Page 55) written by Brad Harris. It looked at the things which the most successful freshwater fly fishermen routinely do to improve their chances of success. Much of what he said was equally applicable to fresh and saltwater. Harness experience – The first thing Harris recommends is to fish regularly with a highly skilled angler or find a mentor and learn from them. Take note of the little things that they do as it is often these minor subtleties which, when added together, make a huge difference. Record these things so you have something to refer back to. This point resonated with me as when I first started to fly fish I was extremely fortunate to be guided by my father, Ivan, and best friend Jack Thornton. Both had a background in UK competition fishing and were highly competent anglers. They rarely blanked and fed off each others riverside observations. One of the most enjoyable parts of going fishing with them was listening to their de-brief of each session in the car drive home. They mostly talked about the fish they’d been unable to outwit and what they could have done better. This is a key skill to learn. Slow down and be prepared – When stalking and sight fishing it is not uncommon for fish to suddenly materialise. When they do this there is a very small window of opportunity. You have to be able to unhook the fly, rip line off the reel rapidly and get your fly in the air as quickly as possible. Your hands must move in a blur but you need to slow down, pause on the back cast and deliver the fly with a minimum of effort. Make sure that the fly line is well out of the rod tip before you start stripping line. Harris suggests pulling enough line out of the tip so that the trace can be looped behind the reel and fly attached near the rod tip. “When a fish is spotted, unhook the line from around the reel and let the loop hang over the water or somewhere it will not catch on things. Tap the top of your rod near the grip with your non-grip hand. The fly should fall off into the water or on the ground”. The other option, when wading, is to hold the fly in your hand and stalk with a sufficiently long loop of line out of the rod tip to allow you to immediately start false casting. Always cast at something and practice casting – “When you are searching with a dry or flogging wets, aiming for a target will hone your precision with every cast, so that when you do spot a fish, you’re already “in the zone” for being accurate. The target can be a leaf, a bubble, a patch of silt or weed, or a moving wave”. I like to try and hit at target with every cast, even if there is no fish visible. It is worthwhile practising casting short as well a long as it helps build muscle memory and a feel for how much line to aerialise. Harris recommends practising on the water so that you can see how your leader and fly are landing. He also suggests that it is important to deliver the fly with as few false casts as possible. When I’m on the river I like to practice casting minimalism. Leave your fly once it lands in the wrong spot – If your cast does not land exactly where you intended do not re-cast immediately. Let it drift back away from the target so as not to spook it. Sometimes fish will move metres to intercept a fly so don’t assume that the cast will not be of interest. Also do not move a dry fly at all when it lands. Resist changing flies until you get a refusal – “I generally need two or three refusals on a good presentation before I change the fly. A refusal is often due to drag or a particularly conservative fish”. Sometimes it also may just mean that the line is slightly awry so try placing the fly slightly to either side of the fish before changing flies. Be patient. Change to a smaller size of the same pattern before changing to another pattern. 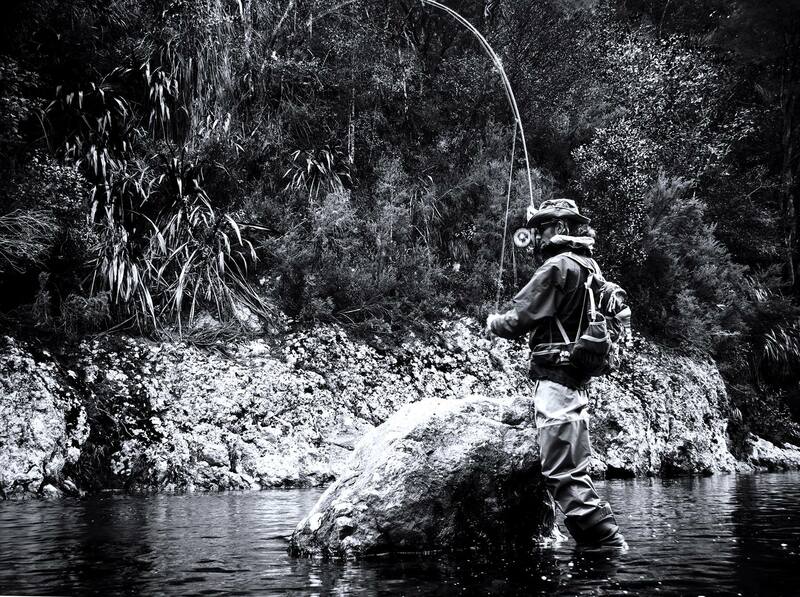 Try something reliable, then something different – Fly selection is often about confidence. Before you start fishing turn over a couple of rocks and observe the surface to see what the fish could be feeding on. Select a pattern that you believe should work and give it a chance. It doesn’t matter whether you are fishing in salt or fresh water the same principle applies. If you turn over several rocks and there are numerous crabs present then try a crab pattern initially. Check your fly regularly – This is especially important if it is windy or you are fishing at night. Casting knots lead to break offs and wrapped flies do not track or set properly. I once fished for 25 minutes in the middle of a full on evening rise missing fish after fish only to discover that the fly was wrapped and the wrapped nylon was acting as a hook guard. Also check that the fly moves properly in the water before you start fishing with it. If it does not look or behave as a natural would then change it. Keep sessions short to maintain concentration – Most people have an attention span of around 45 minutes. Make sure that you have enough breaks in your sessions to maintain concentration. When flats fishing in the hot summer sun I limit my session times to 1.5 hours and make sure that I sit down and take stock roughly halfway through the session. It is amazing how often something untoward happens while you are having a short break. Work on staying alert and nailing anything that hits the fly as this may be the only fish of the session. If you miss the strike then try to figure out why and correct your actions to avoid a repeat occurrence. Move fast when it is sunny, slow down when it is dull – “Make the most of good viewing conditions to cover some ground, then slow down or sit on a fishy looking point or bay when cloud reduces viewing range. Stop and watch for five minutes if it looks good”. Work on improving observation skills, especially peripheral vision – this is one the things which really separates the truly skilled anglers from the pack. They are always on the look out for signs and act quickly to take advantage of any chance of casting to feeding fish. Train yourself to look for things that are different from the norm and trust what you see out in your peripheral vision. One way to do this is to try and find something unusual every time your are out fishing. Yesterday on the flats I saw three tiny bait fish showers out of the corner of my eye whereas a colleague who was less than 15 metres away saw none of them. These were caused by predators ambushing smelt into the shallows. I hooked two fish by casting parallel to the shore where the predators were returning to the main channel. Another thing to do is to keep moving your eyes from side to side, looking from in close to further away. The fish are there somewhere you just have to find them. Hopefully this summary gets you thinking as well as out there practising your casting and trying to improve your powers of observation. The only way to gain true competency is to put in the hard yards on the water and hone technique. Previous Previous post: DOES CAMOUFLAGE CLOTHING WORK?